All sorts of property over time tend to wear and tear due to external factors such as climatic conditions, durability of raw materials used, ridiculous graffiti art and many other factors. There are also internal factors involved in devaluing your property over time, which might include employees’ use of the premises. Therefore, a high level of continuous maintenance is required to safeguard your corporate property over time. Small minor repairs and planned maintenance can help prevent expensive and extensive renovations that might be needed for the future. In order to avoid costly repairs and deterioration of commercial/retail property it is important that you conduct ongoing property maintenance. A well-maintained and refurbished property or facility can also be beneficial for your employees. Reactive maintenance or planned maintenance is essential because commercial/retail properties are under continuous scrutiny from regulation bodies. This is required so that their employees can work in a safe and secure environment. Through reactive maintenance, your property remains in good shape and prevents deterioration from taking place. You are able to create a good impression on employees and continuous improvement to the aesthetic value can increase the overall value of the property. There are various signals and signs to watch out for in order to detect potential maintenance problems. Over time, offices and retail shops need refurbishment whether it is flooring and tile work or a simple touch up paint. 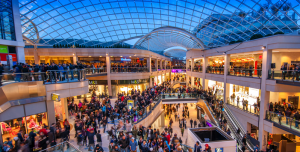 It is important to realise that your facilities management or commercial/retail property requires necessary planned maintenance in order to create an appealing and safe environment for your employees. Instead of delaying such repair and maintenance issues, it is best to get in touch with a property maintenance company. Commercial/retail property owners are responsible for structural repairs, which includes anything that holds the building together such as walls, foundations, floor and roof structures. As the premises are used over time, they are possibilities of common wear tear that require planned maintenance. Signs of possible dampness, paint cracks or any other maintenance related problems need to be dealt with immediately. Therefore, it is best to contact a reactive maintenance company who has the relevant skills and expertise to fix all repairs and perform efficient property maintenance. The key to regularly monitor your commercial/retail property or facilities management for maintenance signs involves an effective feedback from your employees who work every day in that environment. Because they are using the property every day, they will have a better idea about the problems present in each area. Once the problem has been located, it is the responsibility of facilities management and commercial/retail property owners to resolve the specific maintenance issue. In order to avoid minimum disruption that might be caused to your employees during maintenance, it is important to consult with a specialist reactive maintenance company who will be in a better position to resolve the problem. 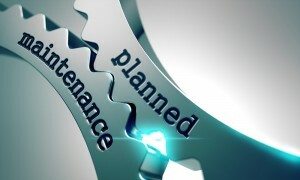 Why Choose Act Maintenance for all your Property Maintenance Needs? 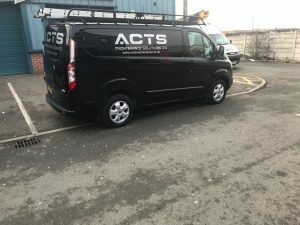 At Act Maintenance, we ensure that every maintenance requirement is met with highly professional and skilled expertise so that we are able to satisfy your needs. We use state-of-the-art technology and innovated equipment to ensure that your facilities management or commercial/retail property is compatible to regulation standards. The use of modernised technology allows us to spot all issues and nothing goes missing from our keen eyes.